FOI Man responds to a blog post by Universities UK, the representative body for Universities and Higher Education in the UK. It’s fair to say that when I made the decision a few weeks ago to remove my mask and reveal my identity to anyone who was interested, I didn’t expect that one of my first posts would be to take task with the representative body of the sector that I work in. It’s probably a good idea if I first of all remind you all that my utterances here reflect my own personal opinions and should not be ascribed to my own employer. So having got that disclaimer out of the way, what is it that’s got me so hot under the cape (as it were)? It’s a blog post from Universities UK, the self-styled representatives of universities and higher education in the UK. In this post, UUK announce that they are lobbying peers to add amendments to the Protection of Freedoms Bill being debated in the House of Lords today. The most significant of these amendments would create a new exemption. The exemption that they propose is based on section 27(2) of the Scottish Freedom of Information Act, and is designed to protect pre-publication research data. UUK believe that the current Act doesn’t provide adequate protection for such information. So let’s take a look at that claim. The new exemption would in practice be an amendment of section 22 of the FOI Act, which gives a qualified exemption protecting information that is intended for future publication. Let’s back up there. 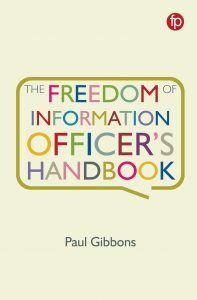 Section 22 already protects information that an organisation intends to publish in the future. That’s one exemption that universities could use to protect research in advance of publication. Are there any other exemptions that might apply? Well, if the research contains commercially sensitive information or trade secrets, there’s an exemption at section 43 that you might have heard of. If it contains sensitive personal information, section 40(2) will almost certainly apply, and if its been provided by a third party during the course of research, then section 41 might also be useful. How many exemptions do UUK think we need to provide comprehensive protection of pre-publication data? Well, of course, we might well think that UUK has formed this opinion because in its experience, this issue is coming up all the time. Perhaps there are several ICO decisions which make clear that the existing exemptions aren’t sufficient. So I did a little exercise this morning on the way to work checking the ICO’s decision notice database to see how many cases involved higher education institutions using the existing exemptions to try to protect research information. And do you know what I found? There were three. One was a PhD thesis successfully protected using sections 22 and 43. Another was about animal research. And the final one involved research data and other information relating to the MMR jab furore a few years ago (and as we all know, the research had been widely publicised by the doctor in question). Firstly, do UUK really want to protect such research from disclosure (that’s a bit of a PR own-goal if they do, surely)? Secondly, even if they do, the amendment they propose won’t achieve this. So I thought, I wonder how many decisions of the Scottish Information Commissioner relate to the equivalent Scottish exemption. I checked his decisions database. There were NO DECISIONS. So UUK are campaigning for an exemption that nobody needs and that even when it does exist isn’t used. Odd. So why does it bother me? Well, first of all, there are plenty of exemptions in the existing FOI Act, and if anything they could do with being simplified and reduced in number. Adding another one – even a completely useless one – just sends out the wrong signal. Secondly, the fact that so many universities think that it’s needed (and I’m assuming that several must feel the same way for UUK to want to give an opinion) suggests to me that there is a lack of understanding in higher education as to how the Act works. I’ve heard that funding argument a number of times, but let’s leave aside the fact that the Government is considering bringing McDonalds’ vocational qualification within the bounds of the FOI Act, let alone degree-awarding bodies. I’m not an expert by any means on the funding of universities, but it does seem to me that even with the current reforms to higher education, they will still be receiving a large proportion of funding, one way or another, from the public sector. The mechanisms may be changing, but ultimately they’re still, and will continue to be, public bodies. Tim Turner wrote recently that he would have a perverse admiration for anyone who had “the courage to oppose FOI actively”. Sadly, UUK are the ones with that courage. And unfortunately that attitude appears to pervade the higher education sector generally. Only last week, Times Higher Education included an article about “bizarre FOI requests” that “waste university resources”. The timing is crucial – just before the Lords debates the Protection of Freedoms Bill, and as the UUK blog points out, in advance of the crucial post-legislative scrutiny being carried out by the House of Commons Justice Select Committee. The question is: do universities want to be seen as modern, progressive organisations, engaged with the world at large? Or do they want to be seen as elitist institutions, locking up their knowledge in ivory towers? It is a fabulous privilege to be funded to increase society’s knowledge. Stubbornly refusing to accept and embrace FOI as a method of engaging with the world is going to leave people with a very old-fashioned image of universities, that in my experience is not reflective of their true ambitions. Spot on. Your legwork (in checking the ICO’s decision database) confirms what I thought: that this criticism of FOIA is based more on a fear (and possible misconception) of what might happen, rather than the actuality. There is one sub-category of information which I wonder about (and this was mentioned by @VinnyHatesJazz on twitter recently). Where, for example, an academic researcher has gathered data which will inform published work, but which will not actually be published itself, section 22 can’t apply. Section 43 might, depending on the facts (as might section 41). But there is a slight possibility that this data would not attract a specific exemption. In those circumstances it’s possible section 36(2)(c) could come into play, but I’d be interested in people’s thoughts on this. I wonder if UUK’s current statements are a late expression of that shock to the system. In this case, I think you’re wrong. You are correct that there have been very few ICO decisions in this area yet. But I think you are missing the point a bit. FOI requests on research data are being used increasingly, and could be used much more intensively in ways that are not necessarily helpful to research. Andrew Charlesworth and I investigated this area for JISC (see http://www.jisc.ac.uk/foiresearchdata), and our feeling is that, while exemptions can apply in some cases, the Scottish exemptions provide better protection for research in progress than the RotUK exemptions. The Scottish exemption protects data gathered during a research project in progress where the research is to produce a report. The RotUK publication exemption you mention only protects data where there is a plan to publish the data requested. Generally only a small proportion of data will be published, and the rest of the data (for which there is no plan to publish) will not be protected. Don’t get me wrong, I am in favour of publication of research data. But I think it would be quite wrong to force disclosure of research data prematurely. Researchers need to assess and document their data before it is published; they also need the chance to write up their research papers without being scooped by opportunistic competitors. I was told by a Dean in a major Scottish university that he had personally used US FoI laws to obtain data from research in progress by a competitor: it happens. The Philip Morris case might not be so relevant as I suspect it might escape the Scottish exemption if the research project is not “continuing”. I’m not sure of the extent of the proposed amendment, but also note that the Scottish publication exemption has a limit of 12 weeks, whereas the RotUK exemption is indefinite. So in fact you would get more disclosure of information “to be published” (but not incidental to research) under the Scottish rules. This box is too small to check if this makes sense, but I I hope it does! @Jon, I was involved in preparation for the Scottish FoI Act when at a major Scottish university, and I can assure you we took it very seriously. In fact the research exemption was the result of that consultation process. I think Scottish HEIs were as ready for FoI as any body could be, and as willing to be open. I did say I would have perverse admiration for anyone who stepped up to the plate and opposed FOI. Turns out I was wrong. There’s nothing to admire, even perversely, in UUK’s position that none of us understand how special research is. As FOI applies to clinicians, policy-makers in central and local government, chief constables, and everyone else in the wide public sector, I don’t think the idea of special treatment for any part of the public sector is rational. It stank when MPs tried it under the MacLean bill, and it doesn’t smell much better now. I would have to agree with Chris. It’s easy (and cliched) to take cheap shots at Universities as ‘elitist’ and for being ‘ivory towers’, but this fundamentally characterizes both developing research practice (notably the open publishing and open data initiatives), and the debate that is going on in higher education about effective access to research data. I’m surprised that someone with Paul Gibbons’ declared background would adopt this approach – I can assure him, as an active university researcher, that the discussion is far more nuanced than he represents it. For the ICO’s current application of FOIA and EIR to academic research I suggest reviewing Decision Notice, Public Authority: Queen’s University Belfast, 29 March 2010. See also the discussion laid out in my article Paved with Good Intentions, which predicted situations like that at Stirling and which provides a bit more background on the rationales for an exemption. Both – useful comments. I still can’t see though that the Scottish exemption (or indeed the UUK version) provides more protection than at present. I can see that it’s easier to apply an exemption that’s specifically aimed at research, but that’s not the same thing. The point I was making is that there is an exemption in the UK Act for anything else that’s not covered by other exemptions. If s.22 won’t fit – and as you say there isn’t a requirement for a specific deadline to be in place, so I’d have thought that it would work quite well – then s.36(2)(c), as Jon suggests, is notoriously a catch all. I would expect, if this was a significant issue, for universities to use that. I think also there’s a misconception underlying the UUK exemption. I think they think that it will be significantly easier to apply. It won’t. It will still be necessary to demonstrate which limb of the exemption applies and to carry out a public interest test. In many cases, the PI test will be the crux of the matter. I do think Jon’s got a point about HEIs getting a shock. I’m sure some were ready (and my impression is that Scotland’s a very different picture to England and Wales in any case). But in my brief experience of working in higher education, it’s only relatively recently that FOI started to really bite and request volumes have reached levels that other authorities were looking at years ago. So I think there’s something in that. The public must be satisfied that publicly-funded universities, as with any other public authority in receipt of public funding, are properly accountable, adopt systems of good governance and can inspire public trust and confidence in their work and operations. The FOIA, by requiring transparency and open access, allows the public to scrutinize the actions and decisions taken by public institutions. Failure to respond or to respond properly to FOIA requests undermines public confidence in public institutions. Hard to argue with the former paragraph, but the latter paragraph, to me at least, does not suggest a nuanced understanding of the issues facing university researchers; the way research data is collected, published and disseminated; nor a positive response to Universities arguing s.36(2)(c). If anything, I think the UUK approach (and the SFOIA rexemption) does not go far enough, and that a clearly delineated exemption along the lines of the US rule would be preferable. Andrew, thanks for your comments. The thing that strikes me though is that what you seem to be saying is that the Information Commissioner doesn’t get research. If that is the case, surely a new exemption isn’t going to change that? It would still be interpreted by the Commissioner and he would almost certainly take the same approach as Richard Thomas describes to interpreting the research exemption. Perhaps this is why you suggest a US style exemption – category-based. But it’s worth pointing out that the US Act (ie the federal version) was drafted in the 60s. It reflects a whole different era. More recent FOI Acts across the world take the approach of the UK Act – ie prejudice and public interest tested exemptions. Withholding information has to be carefully justified. To introduce a different kind of exemption purely for universities would be treating them as a special case – and I don’t think they are. We may have to agree to differ on this one. Anyway, I’ve worked in FOI in Higher Education in England and Scotland and although I agree that people are only now waking up to the possibilities of FOI for investigating research, I am doubtful that anything is going to be disclosed that genuinely ought not to be. If your research is not commercially sensitive or confidential, and isn’t going to be published, why should it not be disclosed? I don’t believe the Scottish exemption offers any greater or less protection, in practice, than that of the FOI Act in the rest of the UK, although it has not been tested in Commissioner’s decisions. If anything, exposure of data to public scrutiny might actually be a good thing. The QUB case a few years back, about tree ring data, revealed that the researcher in question had been storing his information on floppy disks. I am sure there are plenty of examples of eccentric records management that could well be disclosed by an FOI request. Besides, is there not a case for such datasets, compiled with public funding, to be made more widely available? I’ve yet to see any evidence of genuine harm, and I have faith in the good sense of the two Commissioners in making decisions. The University sector, on the other hand, could certainly do with a bit more transparency. I’d be quite happy to see S22 strengthened with a harder time limit as too often I’ve seen examples of requesters waiting 12 months or more on the promise of a “view to publish”. It would be interesting to see what effect the proposed new “right to data” changes to FOI law will have on research data sets. I think you are missing the point of this amendment. I think it has nothing to do with research data and everything to do with peripheral stuff, such as email correspondence. The current exemption is only for information that will be published. The new one is for information relating to a research programme that will produce a publication. Essentially this means that academics’ emails become off-limits. More here. A bit off the research topic, but the LSE’s adventures with certain well known members of the Libyan academic establishment certainly make the case for external scrutiny of where Universities get their money from. To clarify, UUK supports increased openness and access to data and research information – it’s important both for public trust in research and as a means of accelerating discovery. The issue here is the mechanism and the timing. Access to research information shouldn’t impede the research process itself. Current exemptions don’t allow the ICO to acknowledge that university research is a competitive business, and that information may have value other than strictly commercial or transactional. Even the ICO guidance, where it talks about the ‘intention to publish’ (Section 22) exemption, can only illustrate how that would apply to the university context with reference to board meetings and a completed PhD Thesis. How is this supposed to apply to early stage research where it may not be clear what you will publish, when or where? The ICO itself has acknowledged this problem. 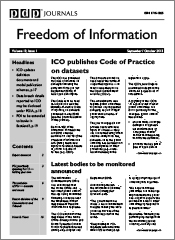 In a workshop organised by the Research Information Network in April last year, an ICO representative commented that while there is no precedent in case law for what might be considered a reasonable length of time for the Section 22 exemption to apply, periods of months or years were unlikely to be considered favourably by the Information Commissioner. Current exemptions are useful – but have to be stretched to apply to the research case and they don’t go far enough. That’s why Scotland, the US and Ireland all have specific provisions to deal with university research. Why don’t we? I’d welcome comments – we really want to get a debate about this going because the House of Commons Justice Committee has just announced post-legislative scrutiny of the Freedom of Information Act – with a deadline for submissions of 3rd Feb. We want to get the arguments – on both sides – out on the table so that that process is properly informed. 1. although you say that you support increased openness, some of the statements from UUK suggest that you’d like HEIs to be removed from FOI altogether. Those views can’t surely be reconciled. In effect this is saying that you believe in openness as long as universities can choose what to be open about and when to be open. 2. I don’t take issue with the idea that there are circumstances where it is inappropriate to disclose data at an early stage. What I question is the method of ensuring that happens. The comments made about existing exemptions seem to me to be based on very little. As I demonstrated in my post (I hope) there is very little, if any, case law in this area. You can’t assume that the ICO will force disclosure based on very generic guidance and public statements in answer to fairly general questions. I think this is a fundamental mistake that a lot of people make about FOI exemptions. The focus is on whether there is a category in the Act. It should be on what exactly is the harm in disclosure. 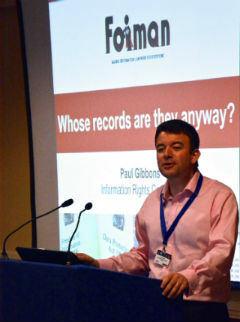 If you can demonstrate to the Commissioner’s staff (let’s not forget that whatever the previous Commissioner or this Commissioner says in public, it is their staff who actually look at individual cases and propose a decision) that there is a good reason to withhold research data, there will be circumstances where that will be upheld. UUK can achieve more by continuing its engagement with the Commissioner than it can by pushing for statutory changes of the sort being proposed. 3. In terms of the exemption proposed by UUK, I just can’t see it working the way that I’m sure is intended by its proponents. Many are hoping, I’m sure, that if this is introduced, they won’t have to think about it anymore. But they will. Each time a request comes in, they will have to say which limb of the exemption applies. They will have to explain why. They will have to carry out a public interest test. The Commissioner, when an appeal reaches him, will look at whether all of those things have happened, and will be able to rule whether or not the public interest has been judged correctly. I would say that there may be a marginally better chance of withholding research data than at present. The alternatives, suggested by Andrew Charlesworth above, are in effect one of the following – making the exemption Absolute (ie with no public interest test) or introducing a derogation for research activities (rather like the BBC one for journalism, art and literature). Neither have been proposed by UUK, and I suspect would be difficult to justify. I do endorse your call though for people to step up and make their voice heard this year, so that any changes are properly debated.